In the second season of The Wire, Baltimore's dockworkers are often found in between shifts at Delores' — a rowdy watering hole that also served as a venue for the city's blue-collared bar bands. In Chicago, there's no doubt there's a Delores in every neighborhood, serving drinks nightly to second shifters, while a band readies to take the make-shift stage at the back of the room. But as neighborhoods change, the rock dive is becoming a rarer breed: Though it's now better known as one of the city's premier music rooms and hipster enclaves, The Hideout served as a third-shift hangout for the city's garbagemen and snow plowers (it's blue-collar attitude is still part of the club's charm, though). And before its yuppy makeover, The Blue Light welcomed off-duty cops from the 19th District with a "Police Navidad" during the holidays, while a metal band would play place on the stage in the back room. 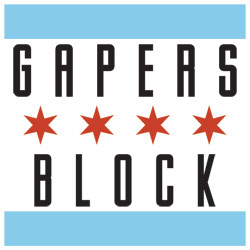 There are still plenty of rock dives that are quintessentially Chicago to be found-most of which are still run by their namesakes (or a family member). Just ask yourself, "Would Frank Sobotka drink here?" and you've got your answer as to whether you're in a rock dive. A post-work hangout for the city's bike messengers and traders, this South Loop spot attached to a liquor store has been hosting live music since the '40s-way before the lux condos moved in, making the area some place to be after dark. Thursday through Saturday, bands play in the Cal's main bar-but there's no stage here, instead everyone's on the floor, bringing you eye level with the local and faraway musicians who have come to Cal's to play. Each year, the bar host its own "Cal's Fest," a mini-palooza for the dive bar crowd, that attracts some of the city's best underground talents. 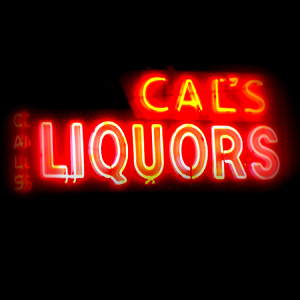 In the past, Sybris, New Black, Bible of the Devil, Dishes, Side Runners, and many more of Chicago's finest have graced the ground floor at Cal's. 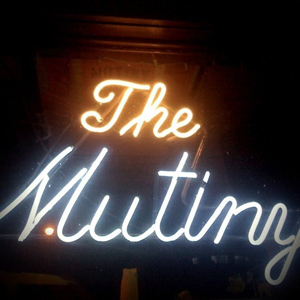 With its permanent "Bands Wanted" sign painted on the front window, The Mutiny is probably the city's premier rock dive. The inside looks like your crazy uncle's basement, with years of trophies, random kitchen appliances and boxes of holiday decorations stacked around the second bar near the stage. 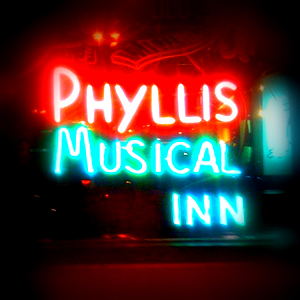 The front is occupied mostly by regulars, a menagerie of neighborhood characters, who drink cheap beer in oversized mugs. Punk rock bands are most frequently heard playing in the back, and, proving you're never too old to play in a cheap dive, venerated punk rock band The Mekons celebrated its 30th anniversary at the Mutiny last year. Ronny's is probably the most eclectic of the city's rock dives-what was once, it seems, a commercial garage is now a music room, hosting local and touring bands. The owner's pet duck, Mr. Quackers, used to live on the smokers' porch until he was apparently eaten by wild dogs. And, depending on what night you walk in, you might be served nachos or treated to a full-pig roast ("Why yes, vegetarian, that was a swine-y carcass you passed by on your way through the door"). The bathrooms are the worst-topping even the old Fireside's, but there's an undeniable amount of talent that play in the garage, which make the occasional odd smell forgivable. Well, maybe except on a very hot night. This Wicker Park institution has been around since Chicago was the next Seattle, but that doesn't mean any of those 90s breakout bands ever played its stage. Like The Mutiny, it's a good place for young local bands to cut its teeth. It has a terrible PA, but a great beer garden and a WPA-inspired mural is one of its charms. As one of the last true tap rooms in Chicago, Miska's is one of the newcomers to the rock dive circuit as the bar recently started hosting music on Thursday nights. Pluses: one dollar taps, a townie clientèle and a mirrored dance floor reminiscent of a 70s pizza parlor. Minuses: The only mixed drink the bartender knows how to serve is beer. Somehow, this two-story, French Quarter-styled drinking emporium has survived among the collegiate sports bars that have moved into the neighborhood. Lily's is also rumored to be haunted, there are ten shot Long Island ice teas for $5, and has a decent stage which hosts mostly local music. 1905 W. Irving Park Ave.
You've probably already been here to see your girlfriend's-roommate's-boyfriend's band. This two-room bar is for bands right out of the gate, but still attracts repeat bookings for its unpretentious (and sooo '90s) atmosphere and convenient location. JP was raised in Glendale Heights, and now lives in Roscoe Village. 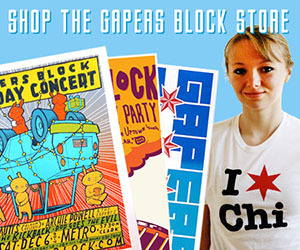 She also moonlights as a designer for MEAT, a set-up that specializes in hand-printed textiles, and has designed gig posters and album art for bands around Chicago. Since you axed, her guitar heroes are Fred Frith, Frank Zappa and John Fahey. Anyone remember the Big Horse on Milwaukee? Taco joint in the front and bar in the back. I played my first show ever there. Back when we were doing punk rock, we were booked at some bar in the financial district with an unusually early load in. We arrived to find we needed to get our gear up so that a happy hour strip show could begin. Having found at least one similar joint in Chicago, I'm sure there a quite a few more. Has any documentation been done?